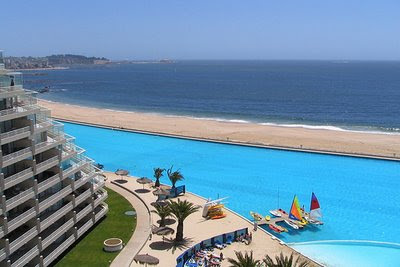 Already drawing the crowds in the South American resort of San Alfonso del Mar in Chile, this artificial lagoon and swimming pool is eight hectares in size and contains an incredible 250,000 cubic meters of water. 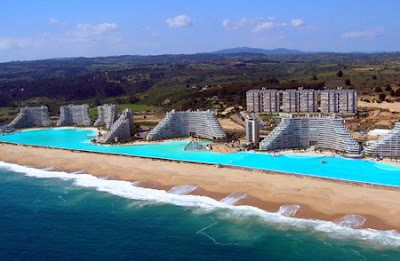 Acknowledged by Guinness World Records as being the world’s largest swimming pool, the lagoon trounces all other record holders in the category, including the Orthlieb pool in Casablanca, Morocco, itself a huge 150 meters by 100 meters – the San Alfonso pool is 1km in length. Thats awesome man. 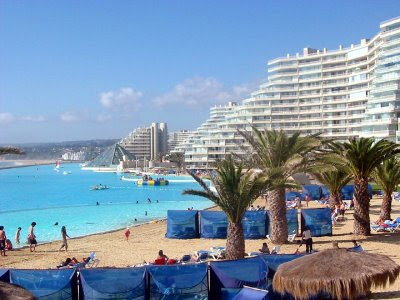 I would love to go there, imagine all the hot chicks!